Deliver a seamless learning experience to your workforce by branding Innform’s interface to match your company identity. Simply drag in the logo and update the colours from the control panel. 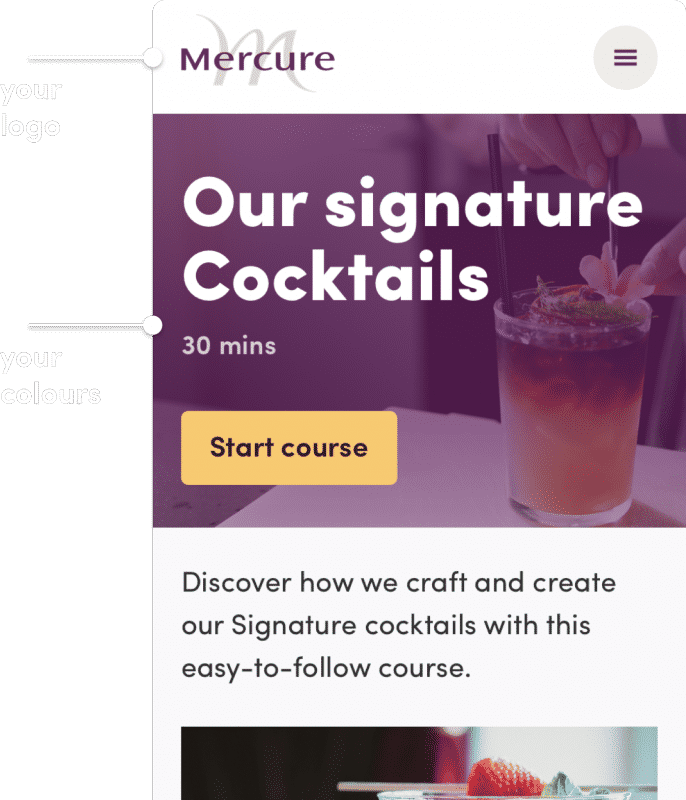 Update the logo and colour palette of Innform in seconds to bring the learning experience closer to the brand. With Innform, you can have the entire learning tool look and feel like one of your company’s products, giving the team a seamless experience. With Innform enterprise, the Innform frontend can be fully customised. This includes changing the typeface of the product to match your brand. Update the look of emails received by you employees and stylise them in around your company’s brand guidelines.